HostSearch interviewed Dimitar Avramov, Supervisor of Operations at Host Color - a leading high performance web hosting provider since 2002. HOSTSEARCH: Thank you for giving us the opportunity to talk with you again. Can you please let us know any updates since the last interview in 2009? DIMITAR AVRAMOV: In 2009 the whole industry and Host Color itself were into traditional web hosting. Very few companies had clusters of any kind. At the time, software producers had been talking a lot about the Cloud, but mostly in a future tense. We were there with the others. We had stable infrastructure and good support. Today, HostColor.com operates a fault-tolerant Cloud infrastructure that guarantees 100% uptime in our Midwest U.S. Data Center. Our storage area network is build on some of the best SAN technologies, while the Cloud provisioning is done with VMware Cloud computing platform. Our network peers to more than 70 ISP and major U.S. national and international networks. We are also part of Equinix ecosystem. Adding our own data center infrastructure partners to that, means that Host Color provides computing capacity in more than 80 locations worldwide. Host Color became a web host that clients use for Cloud computing, High Performance websites, apps and installations. HOSTSEARCH: Host Color has been around since 2002 in this very competitive industry. What would you consider as your main strengths to compete with others? DIMITAR AVRAMOV: It has always been the commitment of our employees and the our business values. 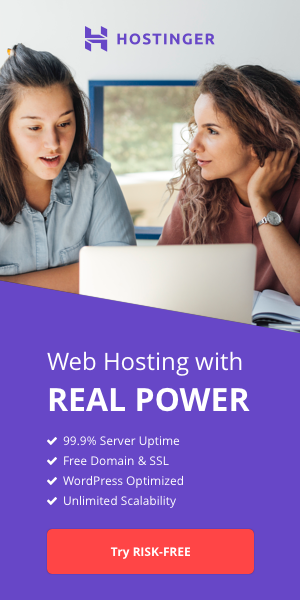 I hate to see that many web hosting providers are just there to add as much clients as they could to their portfolio and then to sell the business. Unlike them IT Hosting is a traditional business for us. We analyze the way web hosting industry changes, adapt to these changes to stay competitive and to create an IT service frameworks that work best for businesses. We customize a lot, even on a network level. Automation is important, but we try to customize IT Hosting and Cloud services as much as we can. DIMITAR AVRAMOV: Our flagship IT service as our Hybrid, Public and Private Clouds, based on VMware Cloud computing technology. Two other things that make a difference for us are the "Managed Websites” and our Colocation services. It looks like that Managed Websites (Managed Shared Hosting) is a fast growing market niche, we have been developing for few years. Another important service is SSD Cloud VPS, but I must admit that this type of IT hosting became more or less a commodity market inside web hosting industry, as everything is automated. Our strength on the SSD VPS niche comes from our low latency Internet network that adds up to the high performance VPS. HOSTSEARCH: How do you differentiate your products in a competitive market? DIMITAR AVRAMOV: We don’t pay a lot of attention to what others do, I mean it. The only exception are few companies that managed to establish themselves as technology innovators in the web hosting industry. Those very few deserve to be monitored or sometimes even followed, it is fair to say that. When it comes to Colocation for example, Equinix is one of them. However, we believe in our approach to IT Hosting business and Cloud computing. We are ethical in our Sales and marketing, we don’t mislead prospective clients and don’t promise any service we could not deliver. Add to that the fact that we try to customize our web hosting services as much as it is possible and I think it is more than enough to rank with the best. HOSTSEARCH: Can you please explain the SSD Cloud Servers? What are the advantages to the customers using these services? DIMITAR AVRAMOV: It is a very simple and effective service, which we have just expanded as framework. We have divided them into SSD VPS and SSD Cloud Servers. SSD VPS are just traditional VPS which use Kernel-based Virtual Machine virtualization. Client may opt in for our Fault-Tolerant storage, which means to use a Cloud-based storage as add-on service or to use storage on the same physical server where the VPS processing work is done. The Cloud Servers are based on VMware Cloud computing and feature High Availability (HA) by default. The HA service provides failover protection against hardware and Operating System (OS) failures. The High Availability monitors Cloud Servers to detect a failure on the underlying physical hosts or an Operating System failure on the client's cloud virtual machine. When an outage is detected, the HA restarts the cloud server on other physical hosts part of Host Color cluster, without manual intervention. The operations resume automatically. The data resides on Fault-Tolerant storage area network, based on QSAN enterprise appliances, which uses enterprise class SSDs. So clients have choice between low cost virtual environments created for high performance and genuine Highly Available, Cloud based servers, which are both optimized for performance and created for business continuity. 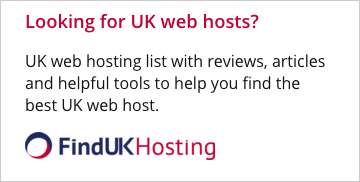 HOSTSEARCH: I noticed you mentions about the VOD and Online Streaming hosting services. Can you tell us more about it? DIMITAR AVRAMOV: We enable companies to create and provide VOD and online streaming media services, rather than do it ourselves. Host Color allows Video on Demand and Online Streaming providers to leverage on our network, infrastructure and managed services. HOSTSEARCH: Can you tell us more about the company’s data centers? DIMITAR AVRAMOV: We have our own Colocation data center center, based out of South Bend, Indiana. Like most other data centers, we got our colocation site leased from the building owner and we have been developing it since 2003. We are also happy to be on Equnix ecosystem. HostColor.com data center is connected to Equinix facility at 350 E Cermak in Chicago. In Europe, Host Color Europe's primary colocation site and virtual data center are built in Equinix, Sofia facility. DIMITAR AVRAMOV: To be fair to you, we do not get that many reviews at all. However, it is true that most of them, even all of them are very positive. We just don’t go after our clients to ask them to review us, do not offer incentives, like many other companies do. Most of customers are business owners and companies. Therefore they care very much about stability and performance. As long as they get a good service, as long as they are happy, they are very much focused on their own business. We are always happy when they decide to say something about us, but it is not something that we work on a lot. It is a weakness from marketing point of view, I know that. However, we have a stable growth rate and we have adopted the business culture or being sustainable and not to push for sales 24 hours day. Let’s be honest, it is not a problem if we have low or even zero growth rate in any quarter. It would happen. That’s life. The most important thing is to have a sustainable business. DIMITAR AVRAMOV: Ha ha ha… I don’t know. This would be bargained with your Marketing team, wouldn’t it? If I’d offer one in this interview this would contradict with everything I have said above. Customers hate to be told that they must deserve their discounts, not to come and start bargaining and trying to lower the prices. What we usually say to them, including your respective users is that, we will be happy to provide them with any complimentary services or discounts, we do that. What we need to see is commitment at their end, not just to us, but to see that they want to develop a service, a product or a business, that we are proud to host and serve. This is much more than the a one time giveaway or a discount code any company would release. DIMITAR AVRAMOV: My pleasure. I wish HostSearch to keep going and stay on top with the best.